General Hospital Celebrates Sonny In The Best Way Possible! Maurice Benard marked 25 years on General Hospital this fall and now the show is commemorating the event with a very special episode next week… and SO much more. On Monday, expect to see a Sonny-centric episode as the character imagines what his life would be like if he never entered the mob world as a boy in Brooklyn all those years ago. Things would have turned out very different indeed… or would they have? That’s something the show explores on Monday’s show, which features the return of Dominic Zamprogna as Dante, as well as the debut of Joshua Benard as a young Sonny. And yes, Joshua is Maurice Benard‘s 13-year-old son. 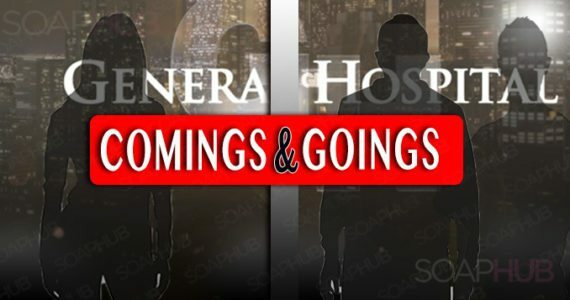 In addition to Sonny’s own hour on Monday, GH is also releasing a 20-episode series at abc.com/sonnyandcarly chronicling the two-decade tumultuous relationship between Sonny and Carly. The video series, which can be accessed with no sign-in, is similar to the one ABC released earlier this year featuring Jason and Sam. You’ll get to see the three most popular Carlys in action — Sarah Joy Brown, Tamara Braun, and Laura Wright. The Sonny and Carly video series will be available for all fans to see from November 12 through February 12.